In Los Olivos, we have a rich community of creative businesses – hidden gems of Los Olivos wine country – made up of makers who demonstrate uniqueness, independent spirit and beauty found in handmade objects. We also have several spots to see locally-made fine art. Check out the list below! And get our town map here. Meet, get to know, peruse the work of some of our local practitioners in art, clay, jewelry, leather, paper and more at the inaugural Meet the Makers of Los Olivos event, which will take place on Saturday, May 25, 2019 from 11-4 pm. Get more info on the event here. Located at 2432 Alamo Pintado, Artisans Gallery was born from a passion for design and natural materials. Since 2011, owner Vicky has crafted hand-made leather goods with care and quality as the focus. Her purses and accessories are made to be as original as the person wearing them, and that’s why she takes pride in every unique detail. That same eye for detail runs in the family — you’ll also find a wide selection of her mother’s original oil paintings depicting gorgeous Santa Ynez Valley landscapes. With a quaint storefront, a curated selection of casual clothing, and a leather-sweet smell, she invites you in to find a piece that is sure to make you smile. Located at 2948 Grand Ave., Studio E, Artiste Winery‘s limited edition wines are art-inspired impressions, blended by winemaker Bion Rice. Artiste Tasting Studio is located in Los Olivos, California. Artiste Winery’s limited edition wines are art-inspired impressions of traditional blends from around the world. Express yourself at Artiste Tasting Studio in Los Olivos by painting on our community canvases, or by sketching in our art journals. 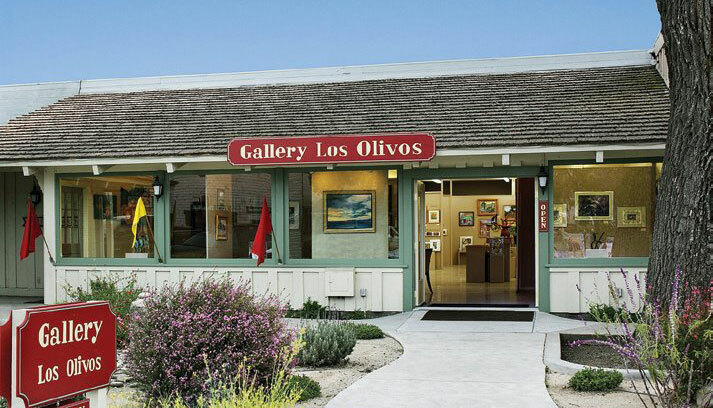 Located at 2920 Grand Ave, Gallery Los Olivos showcases the art of more than 40 regional artists – all from Santa Barbara, San Luis Obispo, and Ventura counties. 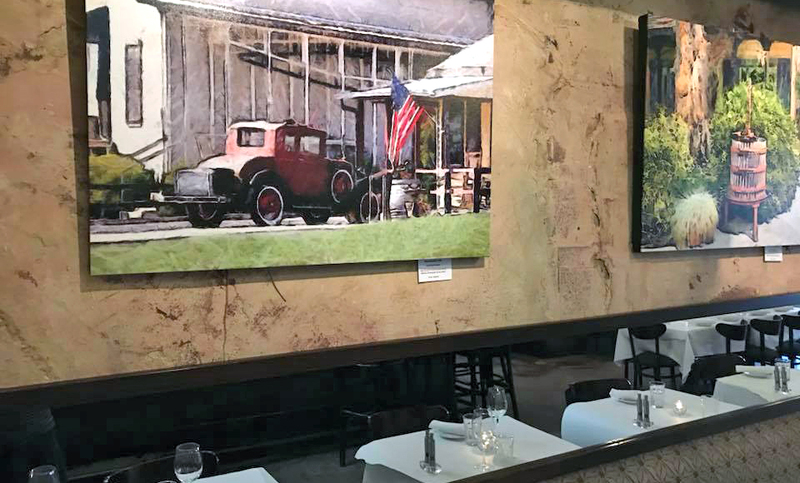 It is the largest gallery in the charming Victorian town of Los Olivos, which is known for its wine tasting, art galleries, and gourmet restaurants. Art lovers will find a variety of media in this Gallery: watercolors, oils, acrylics, pastels, collage, graphite drawing, black and white as well as color photography, woodturning, clay, jewelry, and sculpture. Please stop by to enjoy the art and very friendly atmosphere. Located at 2933 Grand Avenue, Suite E, Honey Paper is a hidden gem tucked away between wine boutiques and tasting rooms. We strive to bring you high quality stationery, papers and gifts from around the world. From luxe hand-died cotton papers from Thailand to handmade paper dolls from Brooklyn. Each item is hand selected and imported by proprietor Michelle Castle, who works directly with distributors to develop her exclusive selection. Michelle Castle is a California-born designer and illustrator who creates her own line of stationery sold exclusively at her boutique. She is a self taught artist and creates her own line of maps and botanical prints. She is constantly experimenting with images, text and paper to create unique items. Located at 2900 Grand Avenue, Los Olivos General Store displays some unique art, paintings made with wine! Christina LoCascio, known in art and wine circles as “the artist who paints with wine,” earned her Fine Arts Degree from UC Santa Barbara and attended programs at the Laguna College of Art and Design as well as Otis College of Art in Los Angeles. In 2002 she began a career in the wine industry, which led her to develop an innovative new technique using wine as her palette. Utilizing different grape varietals and by experimenting with wine reductions, Christina has created an art form reflecting her appreciation and passion for wine. Her paintings reveal a wine narrative in the form of vineyards, grape clusters, and wine bottle portraits as well as figurative subjects that bring to life the emotional experience of savoring a glass of wine. Her travels through Europe and years working in the wine industry have also influenced her paintings. She currently lives and maintains a studio on her family’s vineyard in the Santa Barbara wine country, a source of continuous inspiration. Located at 2879 Grand Ave, Los Olivos Wine Merchant Cafe is the premier wine merchant for California Central Coast wines, from Santa Barbara County to Monterey County, with select vintages from other areas of California’s Wine Country and noteworthy wines from around the world. The seasonal menu offers local California wine country cuisine and much of the produce comes from their own organic Cafe Farm. Santa Barbara Wine Country is also home to an abundance of talented artists. The Los Olivos Café has the pleasure of hosting the work from many of these artists! Located at 2948 Grand Ave Suite A, Pumacasu is a small boutique of jewelry and wine antiques in Los Olivos, facing Jonata street, next to Artiste wine tasting room. Christine Lyman is the resident artist that creates handcrafted jewelry inspired by the Mapuche silversmiths of Patagonia, and she designs with an earthy craftsmanship that fits the identity of the wearer. Christine allows the client to participate in the design so that the primitive desire of self-decorating reflects that personal identity. Today her designs are also touched by the native American genres, so turquoise and jaspers are predominant. From nature to her hands, to you….come in and see her work! Located at 2446 Alamo Pintado, R&D los olivos offers an ever-changing curated collection of fine jewelry, art and gifts handmade by artisans. You’ll never know what discoveries await. They’re always on the prowl for new jewels and treasures. They embrace the concept that shopping should be an adventuresome and civilized experience. Linger and enjoy the intimate boutique located in the heart of Santa Barbara wine country. They’re committed to providing the best customer experience possible.